Pre-heat a griddle to 300°. in a very little bowl mix milk and vinegar. put aside and let sit for a couple of minutes. in a very giant bowl mix flour, sugar, bicarbonate, leaven and salt. Whisk butter, egg and vanilla into the milk. Add foodstuff, and stir till you reach the specified color. mix with flour mixture and stir till swish. Use a 1/4 cup to pour batter onto a lubricated griddle. Let cook on one facet till bubbles begin to pop, then flip to the opposite facet. Cook simply till golden brown. 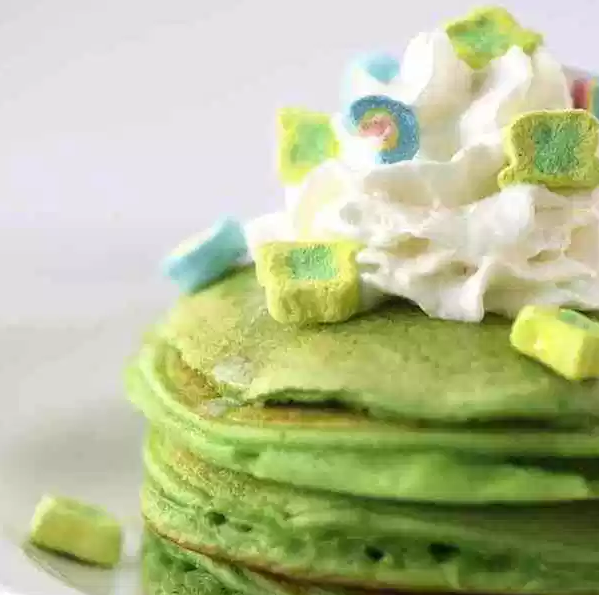 0 Response to "Green Pancakes"